A scholar, an athlete, and a committed volunteer, Jessica handles a multitude of activities while carrying an academic workload that consists of Honors and Advanced Placement classes. She has earned a 3.963 GPA and an ACT Score of 27. Athletically, she has reached a level of talent that has attracted collegiate interest, and she was elected the captain of both cross country and track teams. Jessica manages to make community service a priority. She volunteers at an organization for children with disabilities, helps with animals at the Arizona Welfare League, and helped raise funds for the medical mission of Phoenix Childrens Hospital. 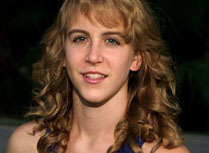 Annika currently maintains a 4.2 weighted GPA and is currently ranked 53 out of 779 students. She has taken numerous Advanced Placement and College Preparatory classes. She is a member of the National Honor Society and has scored a 33 on the ACT test. Annika he is a varsity letter winner in cross country but really shines on the tennis courts. She is student body President and has held a Student Council post since the 9th grade. She is a Toro Link leader, American Legion AZ Girls State Governor, and Mesa City Youth Council, Team Captain in tennis, and a leader in her church. She has done volunteer work at school, as well as in Mexico and Costa Rica, working with the homeless and orphanages in those countries. Dain holds himself to the highest standards on and off the field. He is a star in the classroom, earning a 3.8 GPA while taking advanced courses and was on the Superintendents Honor roll for 7 semesters. He is a National Honor Society student and is an Academic Decathlon Team member. There co-exists a tremendous interest in work and volunteer experiences. He Coaches for the Youth Basketball Camps & League and participates in the National Honor Society Blood and Food Drives. 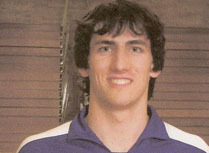 He is a team captain in three sports and has earned special awards in Football, Basketball, and Track. Steven fits the criteria of a "scholar athlete" and is known to be a person of impeccable character. His excellence in academics and athletics has been proven throughout his high school years. 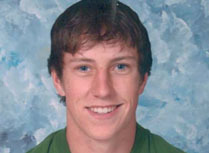 With a 3.988 GPA and an ACT Score of 23 he is a projected Salutatorian of the graduating class of 2010. 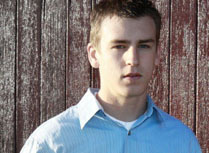 Steven has earned numerous awards and honors in football, baseball and basketball. He was name the MVP of his teams win in the 2A State Championship for Football. Although Steven comes from a family that values volunteerism, Steven rises above what is simply expected and follows compassion and the right thing to do. He is a member of the Boy Scouts of America and has done a 100 hour service project for his community. Coach Robinson is an academician, a role model, a motivator, a mentor an advocate, an advisor, and a coach. With a career spanning over 50 years in two different states, Coach Robinson has produced excellence both in the classroom and on the athletic field. 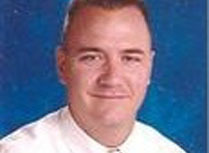 Since 1988, he has been a most exemplary educator at Mountain View High School. 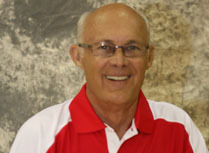 His records as Head Track and Field Coach are unrivaled and include: 17 Region Championships, State Championships and Runner-Ups and has earned Arizona Track, Region 8 Track, and National Track Coaches of the Year titles. He is described as a great coach demanding, yet compassionate; uncompromising, yet reasonable; persistent yet accommodating. Coach Curley, is calm, assured and in control. She leads by example, modeling good sportsmanship for player and fans alike. As the Girls Varsity and Jr. Varsity Basketball Coach, Coach Curley bonds with each player, listening and counseling. As President of the St. Francis Womens Society, she donates 16 hours of her own time in helping organize and set up for their annual bazaar. In addition she is a member of the Antelope Education Foundation and Antelope Booster Club, assists in the annual 3-point shootout and with concession stands, and sells raffle tickets to raise money for athletic equipment. She holds numerous honors as Coaches and Athletic Directors of the Year. Coach Brock teaches his team excellent basketball skills, but more importantly he is a leader who educates his student-athletes in the area of integrity and honesty. He has coached Girls Basketball at Palo Verde High School for the past six years winning five Region championships and becoming a perennial 4A state playoff contender. After defending their Gila Region championship this year, Mr. Brock was chosen Gila Region Coach of the Year. He gives generously of his time and works beyond his normal coaching duties and has instilled a consciousness to his team for community service. Jim has been the man behind the scenes for high school and youth wrestling having 23 years of experience as an AIA official. He has held positions in Varsity Wrestling, scheduling and assigning officials, and mentoring and evaluating new officials. Besides officiating, he has made medals and donated his time all for the betterment of the kids. Conscientious with every aspect of his duties, he has always been on top of officials assignments and double checks to make sure everything is set for the meets. His many awards include The Lake Havasu Chamber of Commerces award for Outstanding Dedication & Service. He is currently a member of the London Bridge Lions Club and is the Chairman of the Havasu Dream Track Committee. With 10 years as an AIA Official, Steve Hull has made significant contribution to Area 4 and Arizona as a sportsman, sports enthusiast, coach, and official. He has held positions in Football, Baseball and as Area 4 Commissioner and Rules Interpreter. Prior to his term as commissioner, he was reliably consistent in calling his sports, and as commissioner he ably mentored all officials. He is well respected in Maricopa for his contribution to the junior high and high school wrestling programs Steve was awarded by the Maricopa High School Booster club for dedication to the football program. A regular performer in state tournament play, Hull is the kind of hard-working, nose-to-the grindstone citizen whose effort deserves recognition. Kevin Kiesser has 22 years of experience as an AIA Official. He has held positions in Football, Basketball, and as Area 4 Commissioner and Rules Interpreter. He is a teacher and mentor and one who always strives for excellence. Kevin holds many awards and honors that include the 2010 Humanitian Bowl in Boise. Several appearances in the state bowl game prove his level of professional excellence. He has worked 2 National JC College championship games. Kevin continues to help train both football and basketball officials and works with new officials with meetings and clinics. As District Athletic Director, Jim works with his four high schools and 20 elementary schools to promote citizenship and sportsmanship. His journey started in 1994 when he first became the Dysart High Schools Athletic director improving the ethical quality of schools and community by implementing sound principles. He has been instrumental in researching and conducting programs and workshops for coaches, most of the athletes, and a large number of community members. 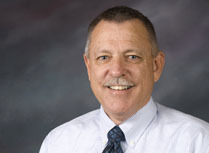 Jim holds numerous awards and honors - that most recent includes the AIAAA Citation Award. Jim has also completed the Certified Athletic Administrator program. Shealynn is a model student superior athlete. She is dedicated and sets high goals. She has a 4.0 GPA and participates in volleyball, basketball, softball, and stage band. She is a strong leader and a great role model for her peers. She has served as Sophomore Class President and is currently the Senior Class President. 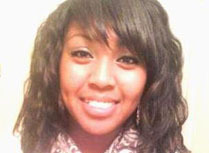 She has been a member of the National Honor Society for the past 2 years and currently serves as the Vice-President. Besides being a diligent student and capable school leader, she goes out of her way for those in need. Among her causes, she helped organize a fundraising effort to help the earthquake victims in Haiti. Chelsey maximizes dedication and commitment not only on the court, but also when it comes to academics. She holds a 3.87 GPA and a class ranking of 2 of 74 in a very competitive senior class and is Vice-President of the class of 2010 of the National Honor Society. 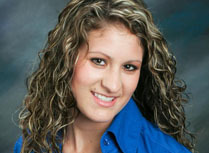 She was on the All-State Tournament Team in Softball and 2nd Team All-Conference in Volleyball. Chelsey is a leader both on the field and in multiple student organizations including Student Council and Future Business Leaders of America as Vice-President of Operations. Chelseys volunteer work helps the less fortunate. Her participations include the March of Dimes, Cats for the Cure Fundraiser, and the Gracie Haught Childrens Hospital Foundation. Colton is a student that does it all: Student body President, Drama, Ensemble, 4-Year/Sport Athlete and community service. Holding a 4.0 GPA and scoring 2260 on the SAT, he takes situations head on with discipline and determination. Colton clearly exhibits leadership. 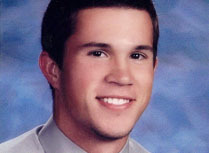 He is student body president and he has held numerous leadership positions on athletic teams. Not only respected because of his ability to get things done, students love his energy and enthusiasm. 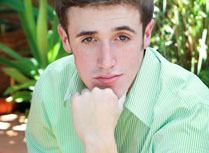 Beyond his athletic, academic and leadership talents, Colton has starred in numerous plays and musical productions and is a writer and a filmmaker. His many volunteer experiences include: Hearts for Haiti and has travelled to Mexicali to build churches. Justin carries a 3.96 G.P.A. He balances education with athletics while playing a major role in multiple clubs and organizations. This includes participation in the Student Council, Senior Class President, FBLA, National Honor Society, NHS President, and a member of the yearbook staff. He has been the Student of the Month every year in high school. He has been a Varsity Football and Baseball Athlete all 4 years and has played a major roll in the Football teams three Conference Championships. Justin has been awarded the Presidents Gold Award each year. He is very active in his church and church activities and has participated in causes such as Adopt-A-Highway program, Pennies for Patients fundraiser, and Prescott Pioneer Home for senior citizens. Christine is a highly motivated self-starter. Not only is she superb on the basketball court, but also in the classroom, maintaining 4.0 GPA. She has taken numerous honors and AP classes and is in the top 2% of her graduating class. She was awarded a scholarship to attend Harvard University in the fall. Christine is the co-captain of her basketball team. 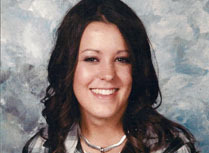 She was also a participant in Track and Field, Swimming and Cross Country. 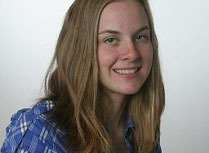 Her campus activities included Band, Ecology club and Calculus club. She was honored as Community Member Volunteer of the Year 2009-2010 by the Pima Community College Student Life. Emily is a person of outstanding character who strives to be the best at everything she does. She was the first Desert Mountain athlete to win State Championships in 2 different sports, Tennis and Badminton. 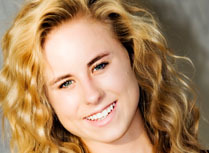 Emily has a 4.50 GPA and is a seven-time AIA Scholar Athlete Award recipient. 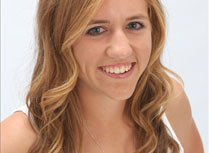 Earlier this month, she also was recognized by the East Valley Tribune as the Badminton Player of the Decade. Emilys passion for life and community service is seen in the multiple events in which she has participated. Many children have benefited from her efforts with Operation Smile, a fundraiser that paid for 22 surgeries from third world countries. MaryJo excels in academics, holding a weighted GPA of 4.66. She is enrolled in the Peggy Payne Academy program for gifted students with a class rank of #1 out of 375, and has earned greater than 35 dual enrollment credits. She has earned numerous recognitions including the Scholastic Excellence Award from the US Marine Corp. and the Tempe Top Teen Award. She is talented in Volleyball, Tennis, and Soccer. Her volunteer hours number more than 400 hours throughout high school. The Muscular Dystrophy Association continues to be one of her favorite volunteer opportunities, and she also enjoys volunteering with the Friends of the Phoenix Library and the McClintock Chapter of the National Honor Society. Ryan is a student with a high degree of ambition and integrity. He is a leader who has repeatedly demonstrated that true leaders do more than talk a good game - they give 100% at the times that it counts most. He always has a positive attitude and is someone who always has a smile. Holding a 3.8 GPA, he is a National Honor Society member. He is a superior athlete, earning nine letters and was an honored performer in the Arizona Music Educators Association Southeast Region and qualified for state in 2009. Academically, Matt sits with a 4.4 weighted GPA and is at the top 20 of this class rank. 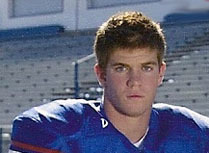 Athletically, Matt has played or participated in Track, Basketball, and Football. Matt has been awarded 1st Team All Region, 1st Team Southeast Valley, and 1st Team All State. Through his dedication, he became one of the states finest kickers. He also received the Golden Award for GPA as well as being elected captain of his football team. Matt is in Eagle Scout, is a National Honor Society member, and has been involved in Student Council. His community service includes tutoring and providing medical supplies for foreign countries, as well as collecting supplies for our domestic tragedies and raising money for calling cards for our soldiers in Iraq. Aaron has participated in four sports at Lake Havasu High School football, cross country, basketball and baseball, and he has excelled at all of them while surpassing all expectations in the classroom. With a 4.350 weighted GPA and holding a ranking of 8 of 384 students. Upon graduation, Aaron will have completed 35 college credits. He has been selected by his teammates as a captain because of the natural way he leads. His community service choices center on youth and include participation in the Freshman Mentoring Program, instructing baseball camps, and coaching. He has also volunteered his time to help with community activities, such as the Havasu Triathlon and Booster Club events. 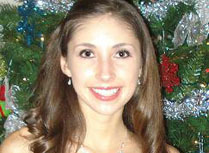 Kristina has experienced outstanding activity and academic accomplishments. 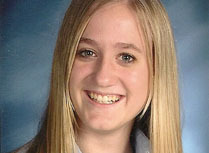 Maintaining a GPA of 4.187, she holds a class rank of 61 out of 721. She has earned an honor for Service Learning Excellence for her 4 years of volunteering and as a member of the National Honor Society. Kristina has been the captain of the JV squad and this year she serves as a captain for the Varsity team. She also served on Student Council for 2 years. Kristina spends endless hours volunteering her time to help others including working with senior at the retirement center and working for the refugees in Haiti. 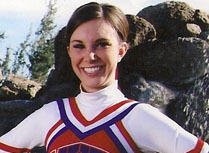 Kayla is Varsity Spiritline Captain from 2008-2010 and was an USC All Star. She performs extra duties such as choreographing dances and has helped the team achieve success at the competitive level. In addition to her athletic talent and leadership, Kayla is an excellent student and a person of character. 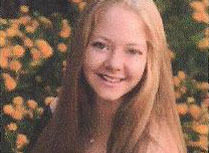 She is committed to her academics, and this is evident through both her grades and enrollment in Honors and AP Classes. Other accomplishments include Student Government Historian and Spirit Committee Leader, Yearbook Editor, and Best All-Around Senior. Some of Kaylas community service efforts include: Goodyear Fill A Need, Buckeye Heritage Day, Womens Shelter of Avondale, Food Pantry, Relay for Life. A fierce competitor and a tenacious pioneer, Catherine is one of the best competitors in Speech and Debate and is the teams President. She elects to take the most rigorous academic courses and holds a 3.978 GPA. She is a member of the National Society, and serves as the Activities Officer of the Executive Board Student Council. Catherine has also been awarded the Advanced Placement Scholar with Distinction and the National Merit Commended Scholar awards. Understanding the importance of community, Catherine represented the Phoenix Community in Japan as a Sister Cities Youth Ambassador and has also been selected to serve on its selection committee. Kyle is an outstanding musician in many respects. He participates in the Marching and Symphonic Bands, and the Jazz and Wind Ensembles and is able to perform on multiple instruments. He also leads, conducts, and teaches other musicians. He carries vast honors and awards in music competition including Solo and Ensemble festivals and region groups. He is an avid composer, having some of his works performed by groups at Mountain View. Academically, he currently holds a 4.431 weighted GPA, ranks 18 of 722 students, a National Merit Scholar finalist, and received a perfect score on the ACT test. Kyles involvement in the community exemplifies characteristics of compassion, as a youth workshop leader at St. Lukes Lutheran Church. A Saxophonist, Drum Major, and as President, Matthews involvement in his schools Marching Band has been extensive. Matthew is also involved in the AZ Ambassadors of Music and has won many awards in the fine arts arena including Drum Major Caption Award and Most Outstanding Senior. He is a member of numerous school clubs and involved and is involved in many community service projects. He has cooked meals, bought and wrapped presents, and helped with the Red Cross Blood Drive to name a few. 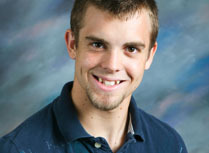 Upon graduation, Matt will have completed 31.5 credits, many being from advanced placement courses. His GPA is 4.0 and his class ranking is 3rd out of 319 and is a member of the National Honor Society. Nathan has chosen to be involved in many activities that demonstrate his well rounded personality. 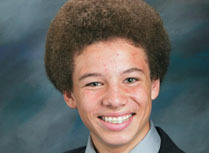 Academically, Nathan has maintained a 3.9 GPA, ranked as #1 in his class, and has taken a variety of advanced placement courses. Nathan also competes on the academic team and the academic decathlon. Nathan is Vice-President of the Student Council, Historian for the National Honor Society, Senior Captain of the soccer team, and a first team member of the golf team. He also is committed to community service, serving as the Fellowship of Christian athletes as Treasurer, where he also organized and implemented Campus Activities. Benjamin is a National Honors Society member holding a 3.98 GPA. He has been a four-year member of the Boys Swimming team and currently he serves his fellow athletes as the manager of for the Boys Varsity Basketball team. All these athletic pursuits have been accomplished while participating in the drama program all 4 years of high school. He has been in every production during his enrollment. Ben is the President of the International Thespian Societys chapter at DCHS and has been chosen to participate in the DCHS Summer Science Leadership Trip. He is talented in filmmaking and has spent hours creating videos for the school to entertain and inform. Charity is an exemplary student in the performing arts - Musical Theater, Spring Play, Shakespeare Festival, and Choir/ Ensemble. Focused, proactive, and dedicated, she is a leader and top performer in the realm of dance and choreography. She is able to maintain her head-of-the-class status academically while participating in two shows per year and volunteering as a teachers aide. She is an honors student with a 3.9 GPA. Her community service work includes participation as a Senior Expo volunteer at a food bank and doing yard work for the elderly and the surrounding community, and running a summer day camp for children in an apartment complex in order to introduce them to stimulating, educational activities. 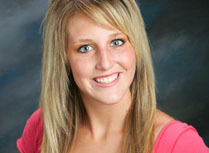 Motivated and determined, Cheyanne has directed her curriculum to include many advanced level classes. She is an honor roll student, holding a 3.8 GPA. She has pursued the most rigorous university preparation curriculum and is ranked 4th of 74. Cheyanne is also active in her schools clubs and organizations. She is a member of the Student Council, the Future Farmers of Arizona, and the National Honor Society, to name only a few. Athletically, Cheyanne has made a positive impact on both the basketball and track and field teams. Her leadership skills have helped her earn the position as one of this years track and field captains. She recognizes the position she holds as a role model for younger students in the community and has taken the challenge to help at child care, toy and food drives, and Red Cross blood drives.